Homeowners and Condominium Association Law relates to the creation and enforcement of rules that manage community associations and help to maintain their appearance and value. Most homeowners associations and condominiums are made up of a common residential asset managed through a chosen Board of Directors. Membership is mandatory upon the purchase of real estate situated in the association. State laws, local bylaws, and organizational rules all relate to the management of the community. Gonzalez & Rodriguez, PL limits its practice to representing the Condominium Association and Homeowner Association versus the individual homeowner. Our lawyers work with the association board to help them with the collection of delinquent accounts, enforcement and interpretation of the covenants and restrictions, 40 year certifications, warranty claims, and the negotiation of contracts with third party vendors. Our firm works with both small and large associations in South Florida and many individual low-rise townhome associations. When it comes to delinquent or enforcement issues, we charge our fees to the owner as a consequence of his own acts and to minimize the expenses of the association. A homeowners association is incorporated in Tallahassee, Florida through the Florida Department of Business & Professional Regulation (DBPR) by the developer prior to the initial sale of homes. The Covenants, Conditions, and Restrictions, also called the Declaration, is recorded in the public records and sets forth the detailed rules of membership/property ownership in the community. The Declaration may also have By-laws which further define the rules and regulations for the community and are sometimes drafted after the Declaration to meet the particular needs of the homeowners. There is no need for a mutual agreement between buyer and seller regarding the Declaration and By-laws, as they are legally defined to “run with the land.” In other words, if one wants to buy the property they are assumed to be aware of the rules and buying it subject to the restrictions contained in the Declaration. If an owner sells the encumbered land/ home, he ceases to be a member of the association and the new owner becomes a member. All members must pay fees and conform to the restrictions of the association regardless of whether they have actual knowledge of these rules and fees or not. At Gonzalez & Rodriguez, PL, we help homeowners associations and condominium associations with the enforcement of the Declaration and By-laws as well as overall support to day to day operations of the association. There are several tools that can be used for enforcement including the levying of fines, liens, and private legal action. 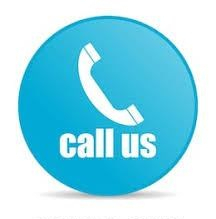 To discuss your matter with one of our experienced lawyers, call us now at 305-461-4880 or contact us online.